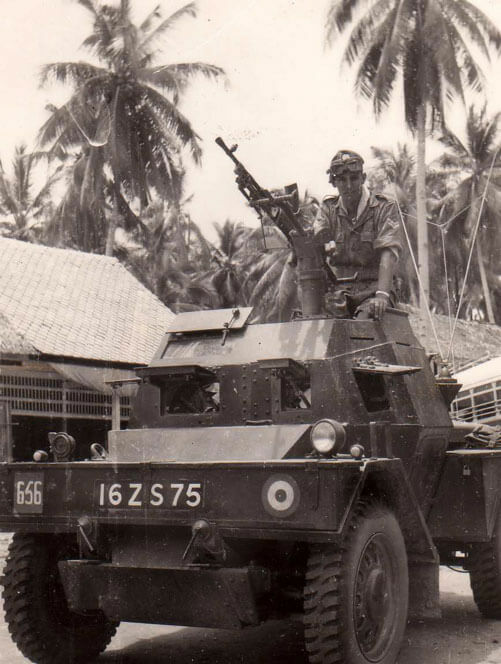 Recently I've started building a few models 1/48th scale representing vehicles (and possibly aircraft) that were operated by British, Commonwealth and Malayan forces during the Emergency 1948-60. 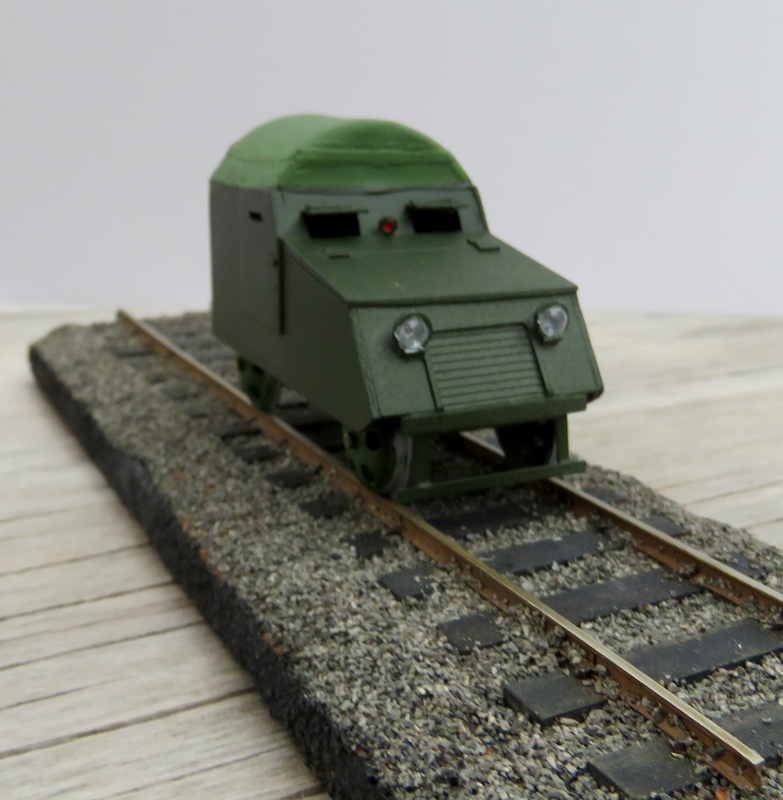 An interesting period starting out with all WW2 equipment and moving into the first of the post war replacements. 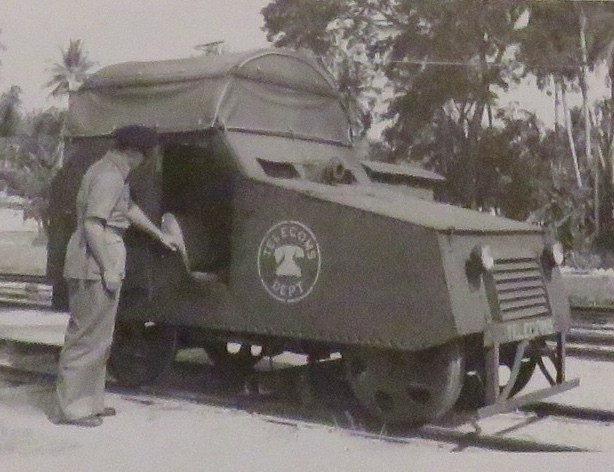 First a modified Daimler scout car with a extended roof and twin bren guns with 100 circular mags. 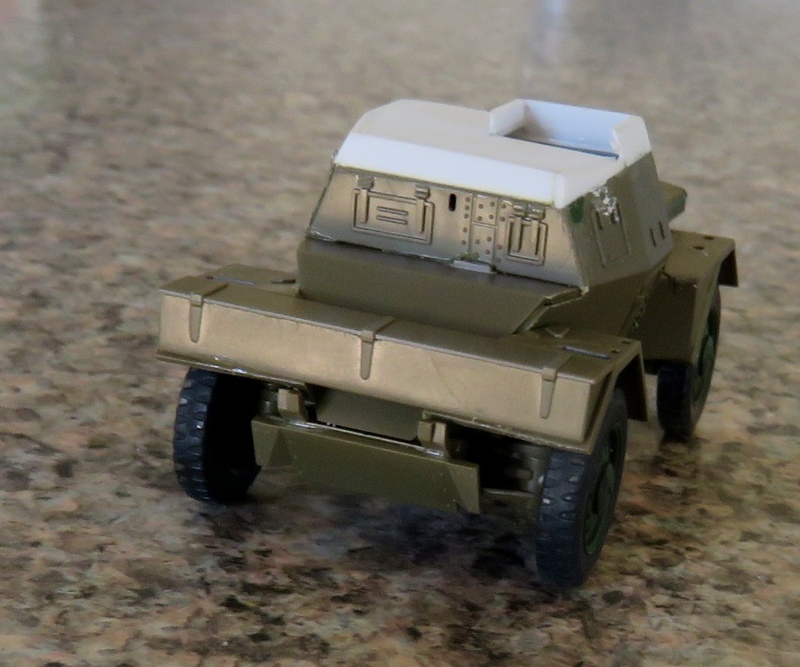 Next a scratchbuilt rail Jeep with an armoured body. Still working on the canvas roof which will probably end up being covered in paper or tissue. 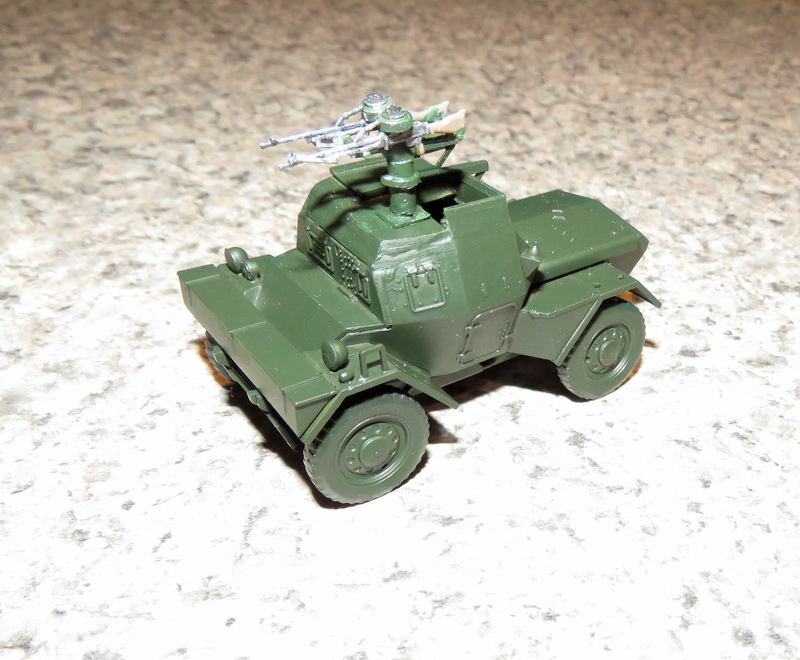 I've also started a Tamiya Humber armoured car which will be modified to represent a Canadian GM Fox armoured car. I must admit I have not been able to identify all the visible differences so at best it will be a look alike. 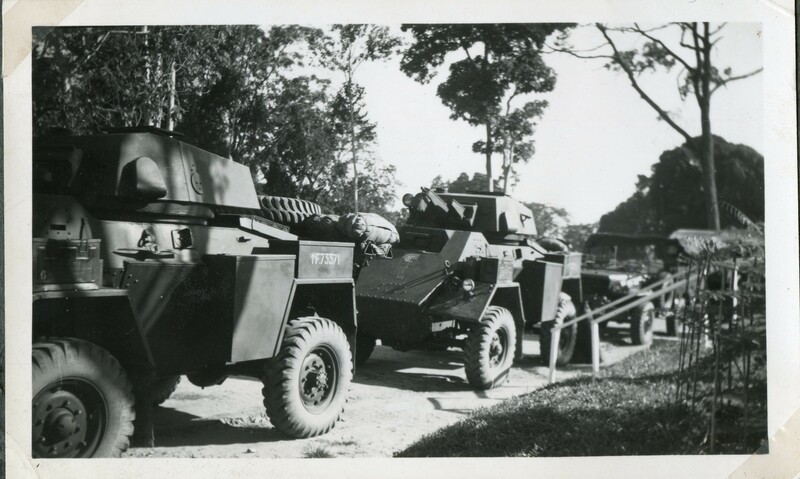 Photo shows Fox used by British Army artillery battery in Malaya in 1948-49. Nice work so far. You could add some planes quite happily in that scale. Bishop wrote: Nice work so far. You could add some planes quite happily in that scale. Brgand, Spitfire FR 18, Tempest II, Lincoln B2, Lincoln B30, Spitfire PR19, Dragonfly HC2, Beaufigter X, Dakota, Mosquito PR 34, Auster 5 (6 and 9), Hornet F3, Vampire 5, Sunderland, Valetta, Canberra B2, S-55, Scottish Pioneer CC1, Venom , Bristol Freighter Mk 31, Shackelton , Sycamore, York, Havard, Twin Pioneer, Hastings, Firefly. 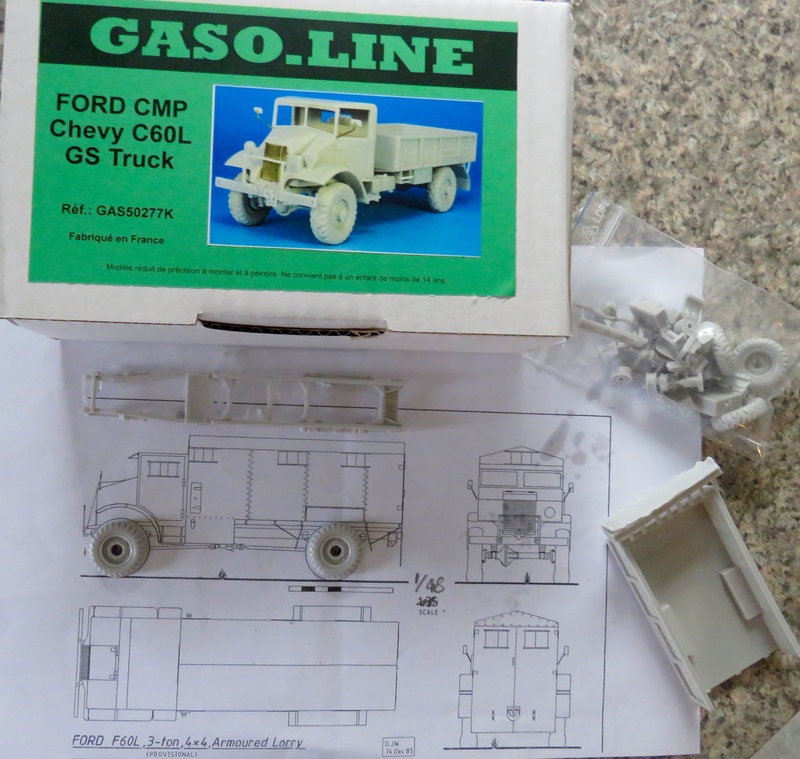 Yippee, a courier just dropped the new Gaso.line Chev C60L As it's got a No 11 cab I plan to put the cab and body into spares box and scratch build a new armoured body. I think I've got most of the differences between Humber and GM Fox added. Just got to find a suitable headlight and add the final common Humber pieces. 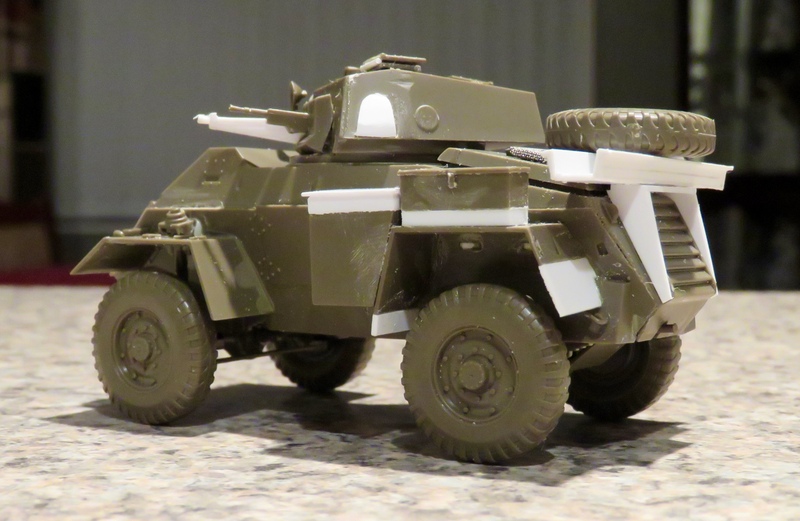 The Armoured rail jeep is nearly finished. As is conversion of Humber into Fox while the Dingo has some way to go. Awesome build, awesome scratch!! 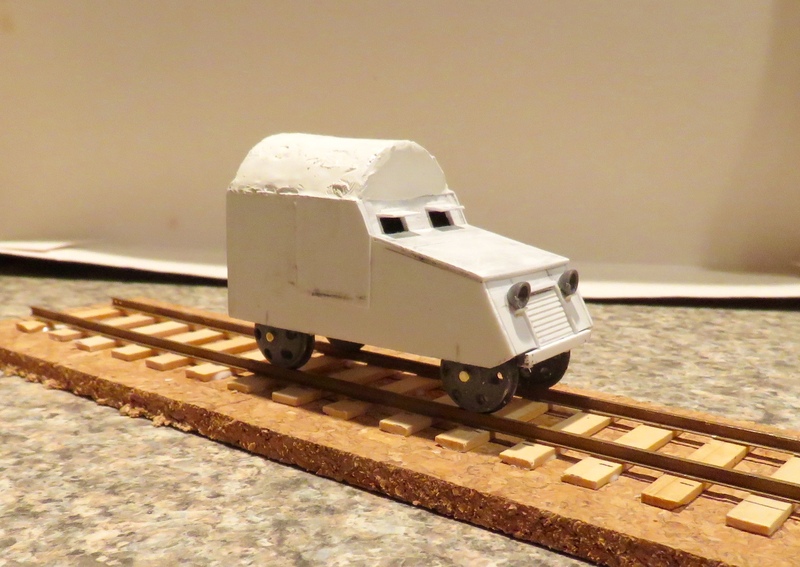 a little advice would be to add some weld seams, it would bring so much to all those "workshop build vehicles"! 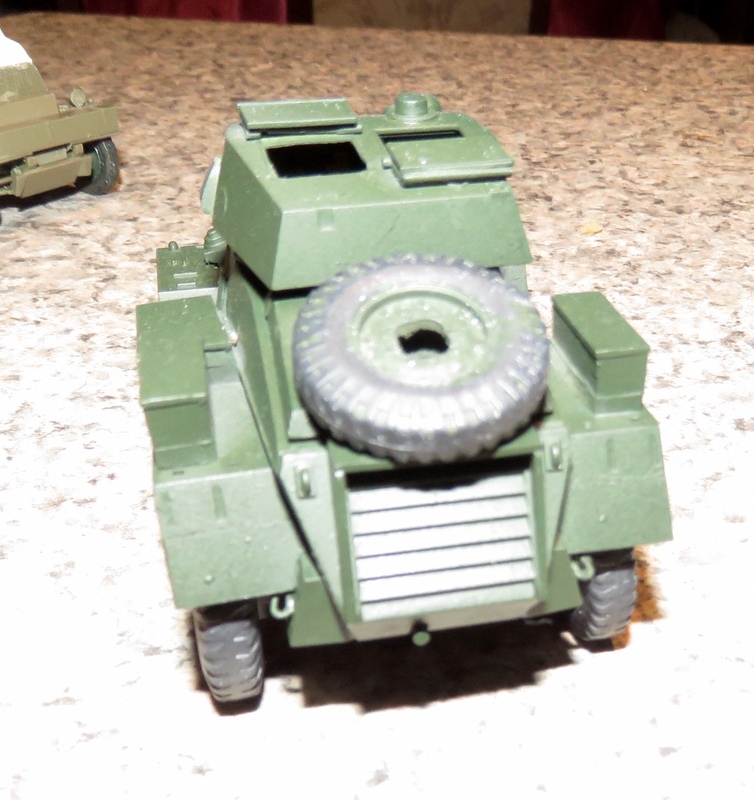 Well I thought this was nearing completion until I painted it and took this picture. Lots of rework required on the added superstructure.